The statement came at the end of a speech Henry made to the Virginia House of Burgesses. As Henry spoke, Great Britain was preparing to use force to reduce the American colonies to a state of obedience. His words spurred the movement of resistance that, in the end, succeeded in establishing a new, independent republic in America. Henry’s speech stands out in the annals of American rhetoric not only because of its memorable conclusion, but also because of its lack of documentation. It may be the most important American political speech of which we have no contemporary written record. Henry evidently spoke from no prepared text, or if he did have such a text, he preserved no copy of it. 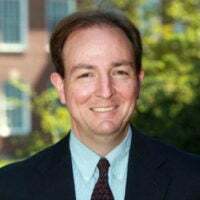 No written record was made of the speech at the time it was made, and it fell to Henry’s biographer, William Wirt, to try to reconstruct it many years later from the reminiscences of men who were present when it was delivered, especially St. George Tucker. It might seem imprudent for Wirt to have produced such a reconstruction, since—relying on the memories of others, after a lapse of so many years—he could have had no clear idea of the exact phrases that Henry had used, except perhaps in the case of especially striking ones like the famous concluding sentence. Nevertheless, we should be grateful that he did it. Wirt’s version eventually became as important to Americans generally as Henry’s original speech was to the Virginians of 1775. Wirt’s reconstruction has appeared in collections of American literature and has been read by countless American students over the years (and probably memorized by more than a few). Wirt’s version of the speech therefore helped to secure Henry’s honored place in American memory, and at the same time placed on the record an expression—“give me liberty or give me death”—that captures part of the spirit of the revolutionary generation. Moreover, we can learn things of lasting value from Wirt’s reconstruction of Henry’s famous speech. We cannot be sure how precisely Wirt captured Henry’s words or the exact contours of his argument. Nevertheless, it is safe to take the reconstruction as an expression of the mind of the founders. That is, we can surely say that it is the kind of speech that would have been given by an American of the revolutionary generation, that it appealed to the ideas to which those Americans were committed and by which they guided their steps. 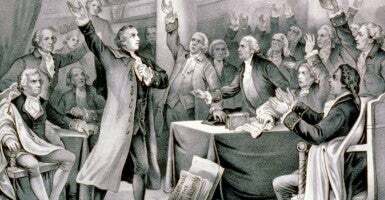 Specifically, the speech can remind today’s Americans of three important political virtues, virtues as relevant to Patrick Henry’s time as to ours. First, the speech reminds us of the importance of both civility and candor to a healthy politics. Perhaps surprisingly in view of its impassioned ending, the speech begins by noting the importance of civility. Henry opens his remarks by acknowledging the “patriotism, as well as the abilities” of those who spoke on the other side of the issue. He disclaims any intention to be “disrespectful” to them. Nevertheless, the speech also points to the need for a candid civility. The stakes in play—freedom or slavery—require each citizen to speak his mind forthrightly. Only on the basis of such open debate, after all, can we “hope to arrive at truth, and fulfill the great responsibility we hold to God and our country.” Civility means not seeking to give offense. It does not mean avoiding hard truths because they may offend others. Second, the speech is an exercise in prudence, and it therefore teaches us something about prudence. According to Aristotle, prudence is the virtue by which we know how to act for the best in the circumstances we face. Thus understood, prudence involves complex political judgments, and it cannot be reduced to a simple formula. We often try to do this, however, and especially to reduce prudence to caution. Henry, however, suggested that a prudent regard for “experience” taught in this case the need for bold, immediate action. All of the colonists’ experience, he argued, showed that further argument with the British would be fruitless. The government of Great Britain was preparing to use force to bring the colonies to heel, and so prudence rejected further delays and called instead for immediate resistance—before the British force in America grew so strong that such resistance would become impossible. Finally and most obviously, the speech shows forth a spirit of courage. According to Aristotle, courage is the virtue that faces death for a good cause. The speech is a call to arms—not figuratively as the expression “call to arms” is often used, but literally a call to armed resistance against the British. Henry’s electrifying final words—“give me liberty or give me death”—remind us that finally a just freedom can be held securely only by those who are willing to risk everything to preserve it. The American founders were both moral and political realists. As moral realists, they believed that there is a real moral order to nature, and that this moral order includes certain rights that belong to human beings by virtue of their humanity. As political realists, however, they also realized that human beings tend to be selfish and weak, and that they therefore are often prone to violate the rights of others. In sum, humans want to be free themselves but are also tempted to oppress others. On this ground, the founders understood that freedom and rights can only be enjoyed reliably by a people willing to exert themselves to win and hold them. Henry’s words remind us that in the extreme case—a case that does not arise every day, but will arise more often than we would like—we have to be willing to fight and risk death if we wish to remain free.